Over the past years, the number of estate disputes has increased phenomenally. In Victoria, there has been a 73% increase in family law provision claims over the past decade while in NSW, there has been a 52% increase over the past 7 years. In a report on estate claims published in The Australian on 1 March 2016, Marilyn Warren, Chief Justice of Victoria, puts this growth down to a mix of “social factors” that include higher divorce rates, changing families and the brutal fact that wealth is increasing. Estates today are worth much more than in the past as a result of the property boom and superannuation savings. Families from every background and income group are mired in money squabbles involving deceased estates. The same report in The Australian goes on to state, “Modest family homes worth a small fortune in today’s market and super nest eggs become a battleground as bickering middle-aged kids tear each other apart in the pursuit of money”. Many people are honoured when they find out that they have been appointed to act as an executor of a deceased estate. The appointment shows the trust the deceased had for the executor. However, the executor soon realises that the role is time consuming for no reward and carries potential personal liability. As pointed out in the report in The Australian above, claims against estates have increased phenomenally over the past decade. One issue which an executor has to deal with is how to respond when a claim is made against the estate. Similarly, beneficiaries of an estate increasingly face legal proceedings and have to defend their share of the estate. I am the executor of a deceased estate. A family member who has been left out the Will has given me notice of a family provision claim. What am I to do? Executors have a fiduciary duty towards beneficiaries. This means that the executor must act honestly and in the best interests of the beneficiaries of the estate. Hence, when faced with a claim against the estate, the duty of the executor is to defend the claim and uphold the terms of the Will. However, this does give the executor the right to defend the claim without any other consideration and incur substantial legal costs which depletes the estate. 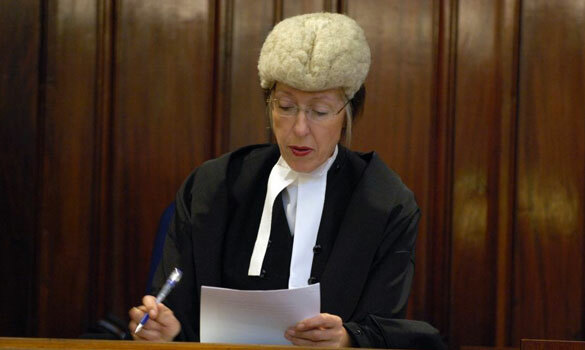 The Courts have held that it is also the duty of the executor to impartially consider the merits of the claim, to act prudently and negotiate with claimants to reach a compromise to resolve the dispute and save legal costs to the estate. This is particularly important in small estates where legal costs may consume a substantial portion of the estate. Executors have an obligation to objectively assess the evidence, impartially assess the merits of the claim made, and where appropriate negotiate and compromise the suit. In a claim for provision, legislation empowers the Court to make adequate and proper provision to a claimant in the appropriate case. An executor therefore cannot simply ignore the merits of the claim and litigate at all costs. Executors must reasonably when defending against a claim made. They must properly consider the offers of settlement made by the claimant and all independent material to reach a decision whether the claim should be compromised. The executor is required to conduct proceedings in an appropriate and efficient manner. An executor who acts unreasonably in defending a claim may be personally liable for the legal costs incurred especially in a small estate where the value of the estate may be substantially eroded as a result of legal costs incurred. In many cases, the executor is also a beneficiary of the estate. This complicates the executor’s position. Here, the executor’s fiduciary duty to the estate may clash with the executor’s self-interest as beneficiary. In this situation, notwithstanding the personal interest in the estate, the executor must not act solely to promote the executor’s self-interest when defending the claim but must consider the interests of the estate as a whole. The executor who is also a beneficiary continues to be imbued with the duty to objectively assess the merits of the claim made, and where appropriate negotiate and compromise the suit. Executors who are also beneficiaries are not entitled to hide behind their appointment as executor to unreasonably incur legal costs in an effort to defend their self interest in the estate. Where this has occurred, the Courts have made costs orders where legal costs incurred by the estate are paid from the executor’s share of the estate. where the claim has proceeded to Court, the executor must comply with all Court directions including filing an affidavit setting out the assets and liabilities of the estate and attend mediation with a view to resolving the claim where appropriate.